soak a handkerchief in cold water and keep it in your left hand for an hour, immediately the fever comes down and if you can do that four times a day for an hour each. Then I can guarantee you. The fever would be gone. 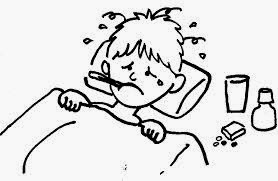 Never let the fever to get aggravated because, it would really get lots of complications not only in the brain but also the whole immune system will be down bringing us down with other diseases too.